Welcome to the Engineers In Action Website! 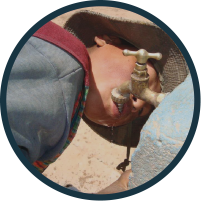 This month we are celebrating World Water Day along with the UN, the United Methodist Committee on Relief (UMCOR), and the rest of the world. We are especially grateful to UMCOR for using our organization to showcase work in water development that is both sustainable, innovative, and effective. This month we’re partnering with the Lost Creek United Methodist Church of Oklahoma to do a special donation match! For every $1 that our supporters (that’s you) donate to Engineers In Action (EIA), Lost Creek United Methodist Church will donate an additional $1. They will be matching every dollar up to $5,000. Only donations made through the United Methodist Church Advance will be matched, so click on the donate button below to join our cause and take advantage of this fundraising opportunity! 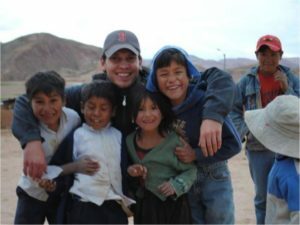 As an organization that specializes in water, sanitation, and rural development, World Water Day has a special meaning to us, and we want to share with you the one of the stories of our projects and the lives that it has impacted. EIA and partners measuring pH of a lagoon near the Juckucha River. For over 100 years, the Juckucha River has been polluted from the acid mine drainage coming from the nearby mines. The river is completely devoid of life and is said to be so acidic, that it can burn moles of of your skin. 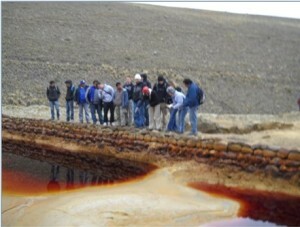 Between 2010 and 2012, EIA worked with partners from the United States and Bolivia to implement a passive treatment system for acid mine drainage coming from the Kumurani mine. During this time, over 2,500 tons of limestone were used to line 1 mile of channels which conveyed this drainage to a nearby lake and eventually to the Juckucha river. The completion of this project raised the pH of the water back to a safe and natural level. For the first time in over a century, life returned to the Juckucha river in the form of moss, algae, and grass. Unfortunately, there are more mines downstream and the Juckucha quickly becomes re-polluted. 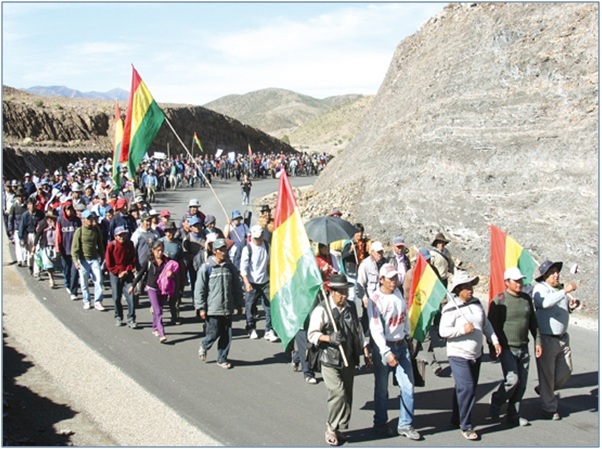 The success of the Kumurani project awakened a political will within the people of Potosi that had long been dormant. Proving that the river could be remediated brought hope to the people that the river might once again thrive and provide safe water for the public. Over 25,000 people marched on the departmental capital of Potosi, demanding for the rehabilitation of their rivers. 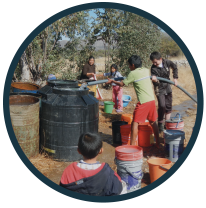 Now, the Potosi government, mine owners, people of Potosi, Rotary clubs, EIA, and other partners are working together to further restore function to the rivers and ecosystems in the area. In a country where the average per person income is $2,220 per year and in a department where most people are farmers, cleaning up a polluted river does more than just restore life to a river and allow it to thrive, it provides tangible economic value to people and allows them to thrive. 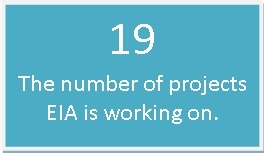 EIA is working with multiple partners on multiple projects within this area to continue its rehabilitation. The results of these projects will have profound effects on the lives and welfare of the people in this region.